As with Franklin Park Conservatory, the Detroit Zoo maintains a room full of blooming plants and fluttering butterflies. 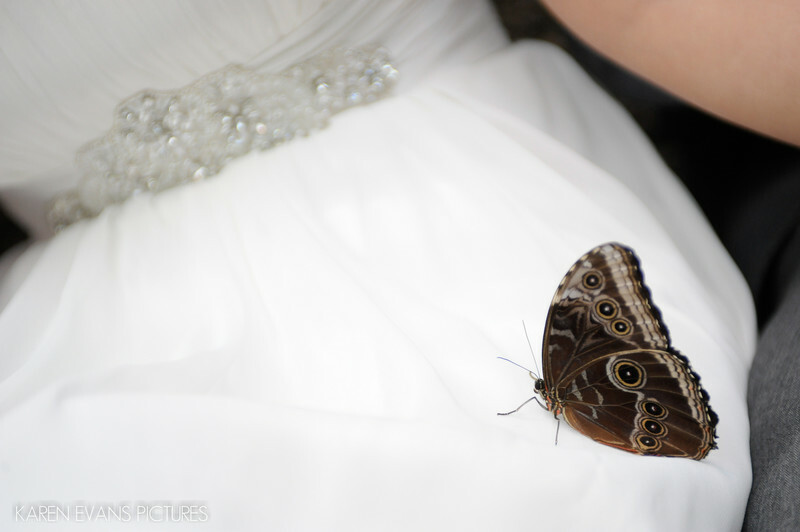 Caryn and Judd and I, and their wedding party, chose that room for some portraits prior to the wedding ceremony and were immediately pursued by butterflies. They were everywhere and very interested in us. For one portrait, where everyone sat on a bench, this butterfly came over to sit right on Caryn's lap.Keywords: detroit zoo (12).